Jason Line qualified well in the past two races of the Western Swing. 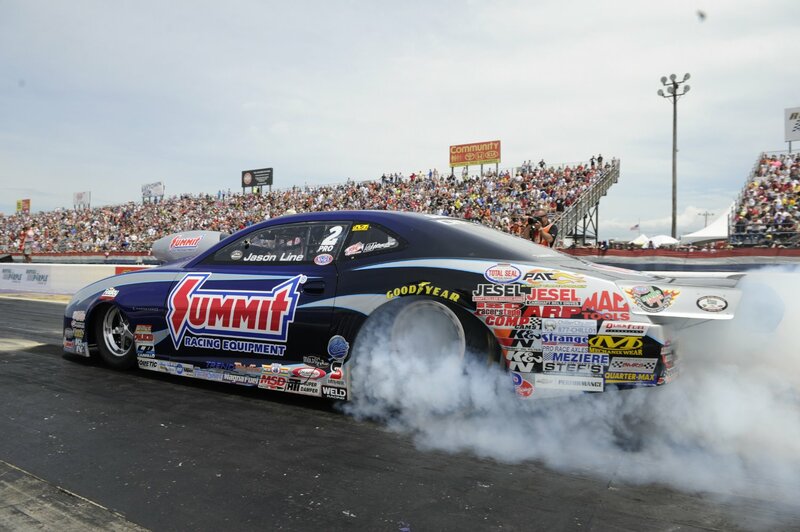 After a semi-final appearance last week at the Mopar NHRA Mile High Nationals, Line put his Summit Racing Chevy Camano in the winner’s circle today. Line defeated V. Gaines in the Pro Stock final at the NHRA Sonoma Nationals. Line went 6.556 at 211.89, while Gaines went 6.790 at 187.44. “Overall, I felt like my car was as good or better than any other one out here but I struggled this week,” Line acknowledged. This is Line’s second win of the season. His other win came also in California at the season opener in Ponoma on February. At Ponoma, Line also beat Gaines. In that race, Line went 6.526 to Gaines’ time of 6.533. This season, Line is a perfect 3-0 in match-up against Gaines. Besides today and Ponoma, Line also defeated Gaines in the first round at the NHRA Thunder Valley Nationals in Bristol, Tennessee.